Because asphalt is an oil-based surface, it is ill-suited for paint adhesion. If you attempt to paint your asphalt driveway with conventional paints, you soon will end up with paint failure. Fortunately, you can use a tinted sealer to alter the color and appearance of an asphalt driveway. However, before you begin the application process, work hard to clean and prepare the surface, or you may still end up with chipping and peeling. 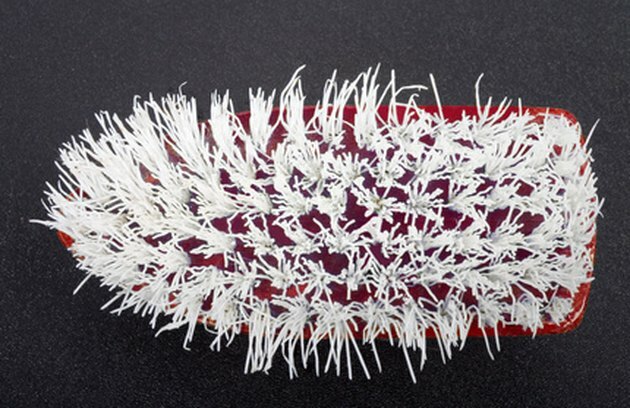 Scrub oily and greasy areas with a coarse plastic brush. Scrub oily and greasy areas clean with a water-based degreasing agent and a coarse plastic brush. Clean the asphalt driveway with a pressure washer. Ensure that all dust and dirt are removed from the driveway, or you may have adhesion problems. Allow the asphalt to dry. Pour 2 gallons of clear or tinted asphalt sealer into the 5-gallon bucket. Affix the roller cover to the frame, and screw the roller to the extension pole. Apply two coats of the asphalt sealer to the driveway, using the roller. Allow three hours of dry time between coats. Allow the sealer to cure for an entire day before walking or driving onto it.